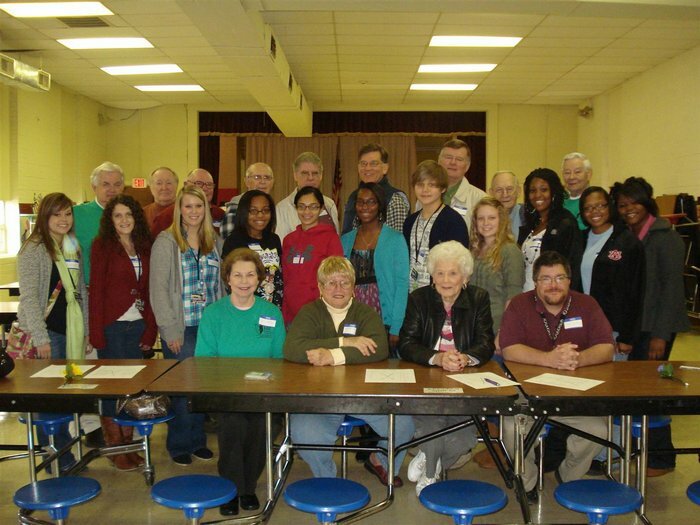 The Pell City chapter of Kiwanis International along with members of the Pell City High School Key Club recently kicked off this year's Reading is Fundamental campaign at St. Clair County Head Start. Pell City Kiwanians have promoted literacy at SCCHS for almost twenty years. Every student at St. Clair County Head Start receives books to take home through the support of Pell City Kiwanians via the Reading is Fundamental program. Kiwanians team up with members of its high school organization,Key Club, and read to each class at least three times during the school year. We salute this organization for helping SCCHS reach its school readiness goals by promoting family literacy. St.Clair County Head Start is dedicated to providing services to children and their families in order to empower them to succeed. We do not discriminate against applicants for service or employment based on race, color, national origin, gender, disability, religion, sexual orientation or any other legally protected status.